For the past 6 months, I have been leading the design for a stealth mode product which I can't share online. Prior to this project, under my leadership, my team has designed two major Salesforce Analytics products. Salesforce on the desktop provides dashboards and reports which allow the users to slice and dice information and click through the underlying data. 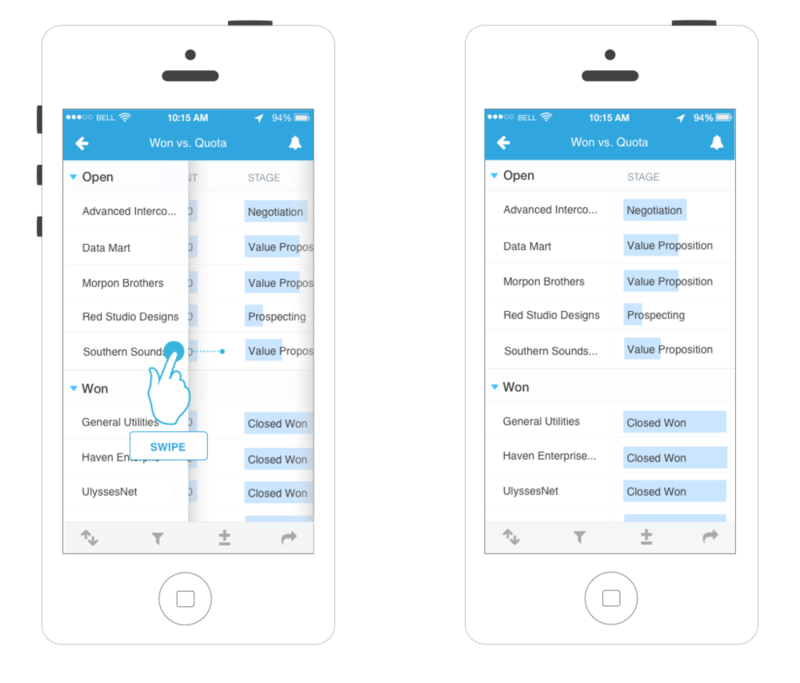 Until the release of Salesforce Mobile Reports and Dashboards, this capability was only available on the desktop. The majority of the design work has been done by the lead designer Eric Nash with later additional work by other designers. According to a survey, 88% of the Salesforce administrators say that they create and run Reports on Salesforce at least once a week. That makes reporting the most used administrative feature on Salesforce. This project's focus was to redesign the report viewing interface which hasn't been changed in the last 14 years. Currently, the new design is available for a limited pilot. All works © 2015 Beril Guvendik Maples.